This past Sunday, June 10, we continued our series of mobile workshops for the Big Jump discussing with residents different levels of bicycle network protection and collecting input. 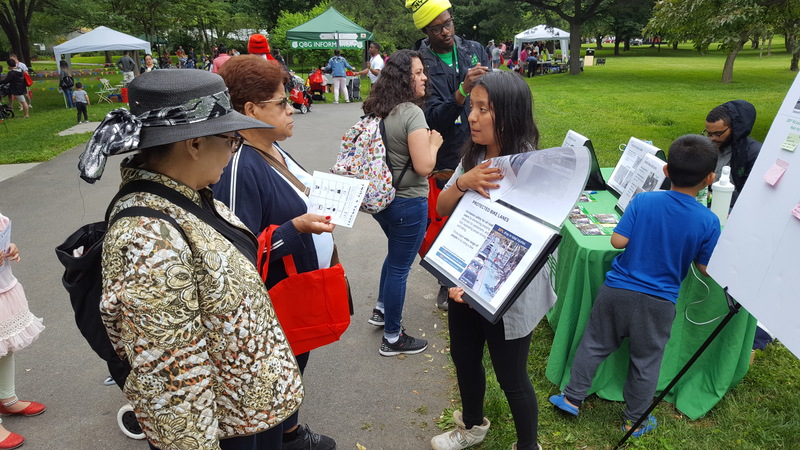 Mobile workshops allow us to expand our public engagement efforts, particularly to groups traditionally under-represented at public meetings, including non-English speakers. 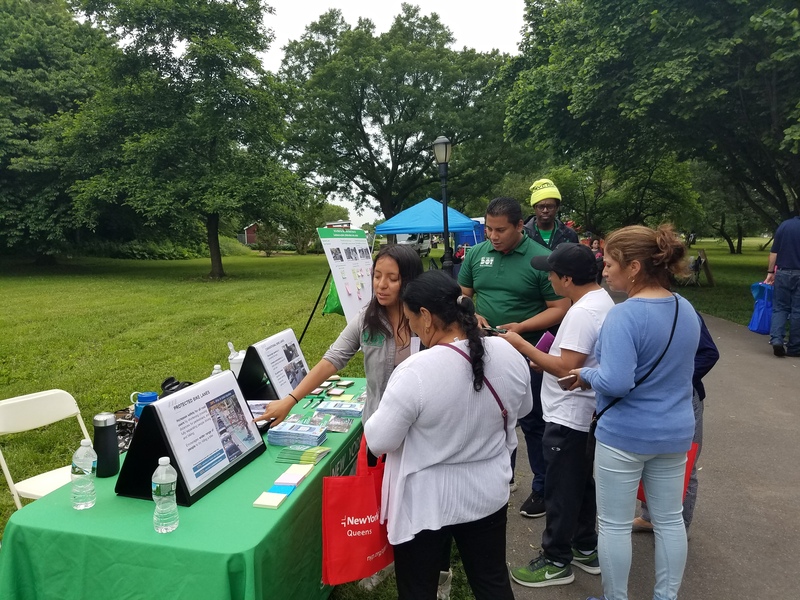 We were at the Queens Botanical Garden, located inside of Flushing Meadows Corona Park, for the Twist and Sprout family event. 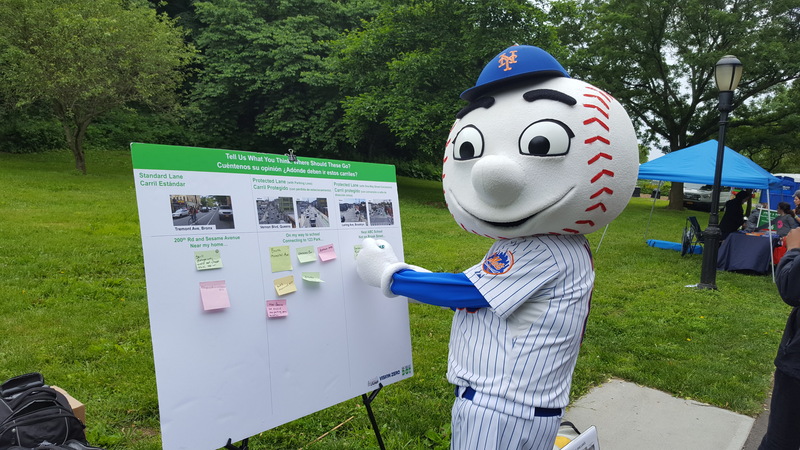 DOT's first on-street workshop was the Saturday before at the CB3 Health Fair in Corona. 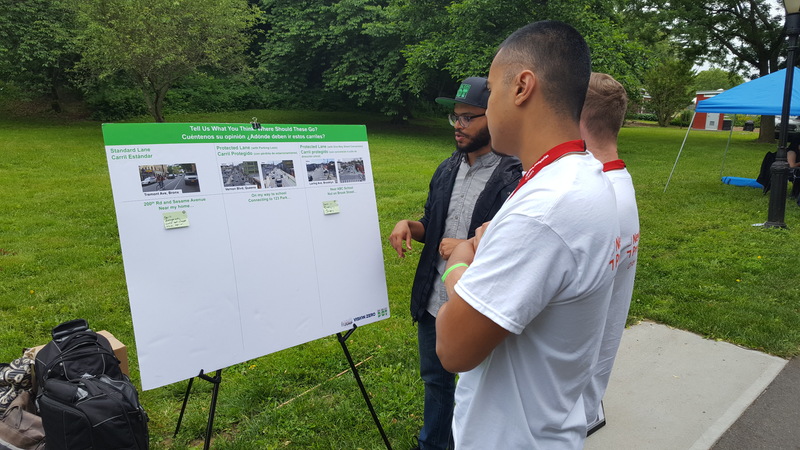 We asked residents to tell us what they think about the different types of bike facilities and where they think they should or should not go. We walked people through the benefits and trade offs that arise with installing either a Standard Lane, a Protected Bike Lane (PBL) with Parking Loss, or a Protected Bike Lane with a one-way street conversion. We also received new members to our newsletter. For updates on events, meetings sign up to our mailing list here.